24karat gold vermeil drop earrings by Herve Van Der Straeten. This stunning pair of earrings is been made with two intertwined asymmetrical shapes. Earrings are for pierced ears with a post back. 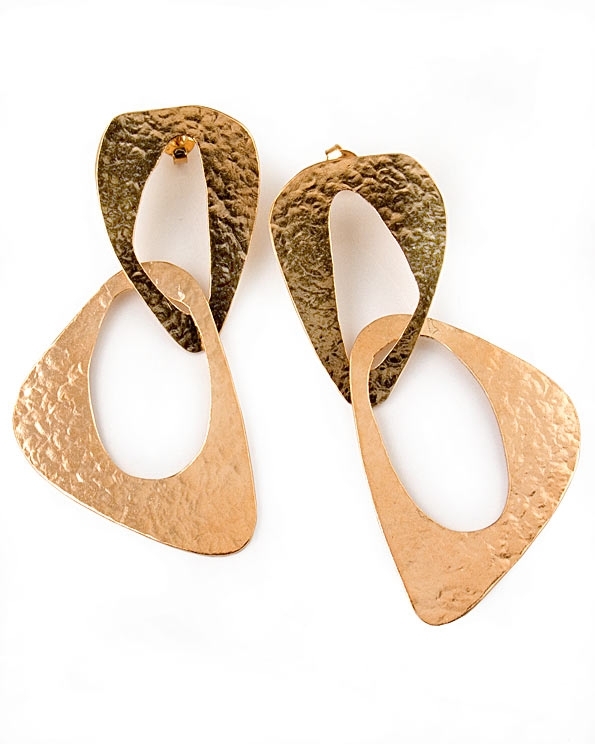 A unique pair of designer earrings easy to wear from day to night, adding a touch of glamour to any outfit. As seen on Tatler magazine & Woman & Home Magazine. Width: Top - 2.3cm /0.9". Bottom: 3.5cm / 1.4"